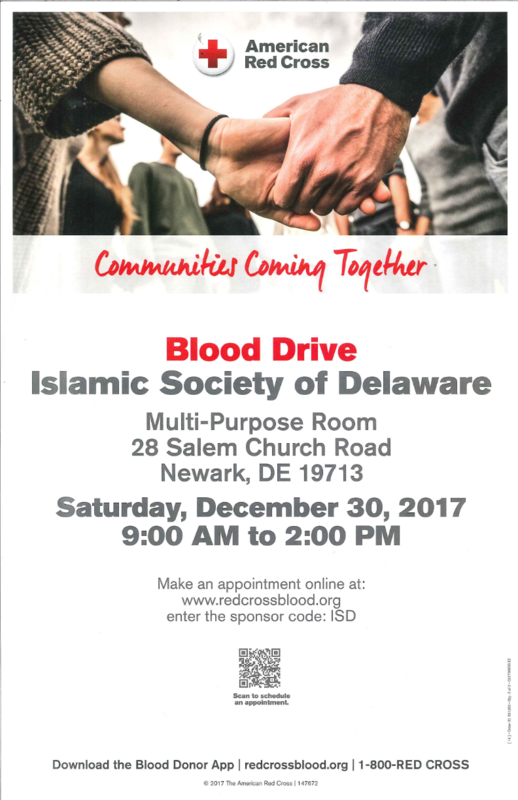 The Islamic Society of Delaware joins our fellow Americans in condemning the horrific attack at Tree of Life synagogue in Pittsburgh, PA that has left at least 11 people confirmed dead and many more injured. We share the grief and sorrow of the nation and offer our heartfelt condolences to the families and loved ones of all those killed and injured in this monstrous attack. No religious tradition can ever justify nor condone such ruthless and senseless acts of violence. In the eyes of God, every life is sacred and the attack on a single life is akin to an attack on all humanity. We stand with the victims of this senseless act of violence and mourn with the families of the victims and pray for their ease and comfort during this time of difficulty. We support our law enforcement authorities and urge them to bring to justice those responsible for this act of terror. From September 15–23, 2018, peace-loving folks across Delaware will celebrate Peace Week Delaware—a statewide series of events and actions raising awareness and hope for peace in our communities, nation, and the world. 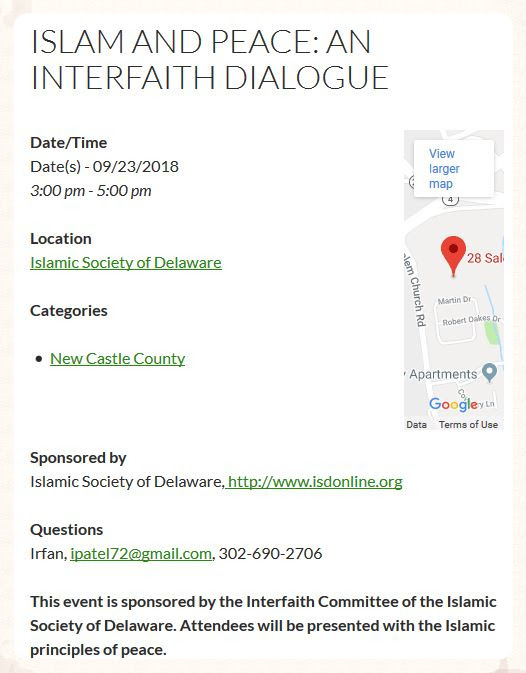 This year, ISD Interfaith Committee will be hosting an interfaith dialogue on 'Islam and Peace' on Sunday, September 23rd from 3PM - 5PM. 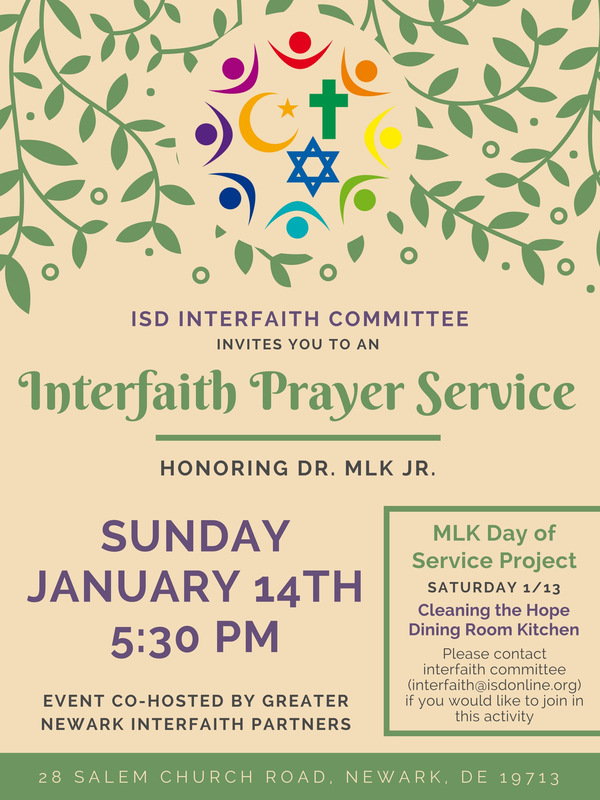 ISD Interfaith Committee invites you to join the Interfaith Prayer Service honoring Dr. Martin Luther King Junior this Sunday January 14 at 5:30 PM. This event is co-hosted by Greater Newark Interfaith Partners. Sign up now to help save lives!! On Sunday, November 19, several members of ISD Interfaith Committee joined 70 others from different faith and helped make 150 food baskets during Thanksgiving Basket Making Event at Beth Emeth congregation. ISD sponsored 15 baskets and the Sunday school community also brought in canned foods and other goods for additional baskets.